The report finds that while wages in most sectors have grown steadily, caste and gender disparity remain high. 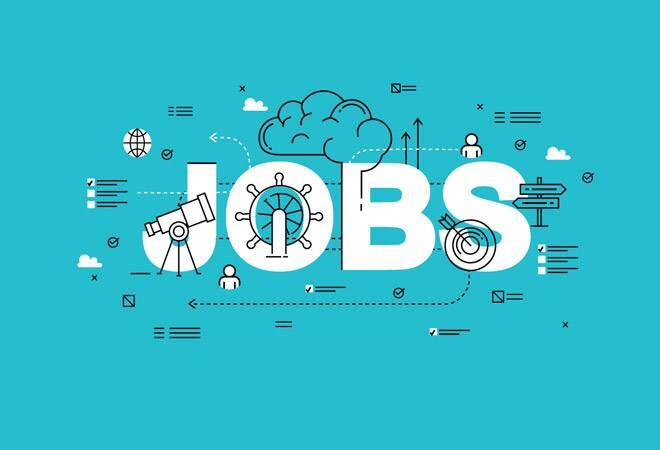 The ongoing debate on whether India is creating enough jobs or not has become hotter, with a new analysis carried out by the Centre for Sustainable Employment (CSE) of Azim Premji University, suggesting that India has struggled to convert economic growth into good jobs. CSE's State of Working India'(SWI) report released in New Delhi today (on September 25) says that a 10 per cent increase in GDP results in less than 1 per cent increase in employment. The rate of unemployment among the youth and higher educated has reached 16 per cent, it points out. The report is based on various published data including the quinquennial Employment-Unemployment Surveys and enterprise surveys of the National Sample Survey Organisation, Annual Employment-Unemployment Surveys of the Labour Bureau, data on the organised manufacturing sector from the Annual Survey of Industries (ASI), Reserve Bank of India data on Rural Wage Rates and the data compiled by the Centre for Monitoring the Indian Economy (CMIE). The report finds that while wages in most sectors have grown steadily, caste and gender disparity remain high. "Labour productivity has grown several times faster than wages. As a result employers have benefitted far more from growth than workers. Employment generation has remained weak, and India has struggled to convert high rates of economic growth into good jobs, particularly for its educated youth," the report states. "Just and sustainable livelihood opportunities for all its citizens are critical for India. Azim Premji University's State of Working India report is based on rigorous research and investigates a range of issues that can drive employment growth in the country, with equity and full inclusion. We see this report only as a first step, with deep, continuing and on-the-ground research required. Collaboration across institutions and sectors will be key for developing a robust and detailed understanding," states Anurag Behar, Vice Chancellor, Azim Premji University. The report notes that the past decade has been good for the performance of the organised manufacturing sector. "Several industries (especially, big employers like knitwear, plastics, and footwear) have delivered on wage growth and job growth. In part this is because workers are no longer being replaced by machines as fast as they were in the 1980s and 1990s", it says. However, along with more jobs came the tendency to engage more contract and trainee workers who perform the same work at a fraction of the wages in place of permanent employees. On wages, the report said that while there has been steady growth in wages (adjusted for inflation) for the past decade and a half, monthly earnings continue to be low. "Most sectors, except agriculture, have reported an increase in real wages by 3 per cent or more annually. However, monthly earnings continue to be low in general. 82 per cent of male and 92 per cent of female workers earn less than Rs.10, 000 a month", it points out. It also notes that caste and gender disparities remain high. "Women are 16 per cent of all service sector workers, but 60 per cent of domestic workers. Similarly, Scheduled Castes (SC) formed 18.5 per cent of all workers, but 46 per cent of total leather workers. On a positive note, the gender earnings gap is reducing over time". The report calls for a National Employment Policy in close collaboration with the States.